February 2013 - Get Ready to Ride with the River Hawks!Get Ready to Ride with the River Hawks! 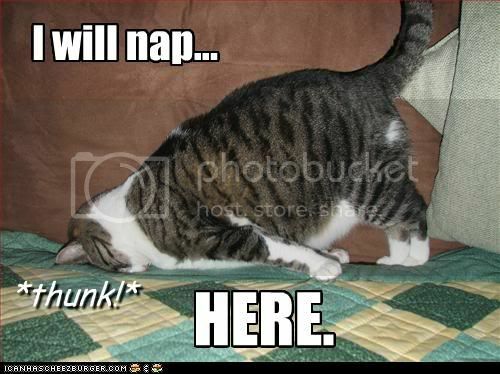 Naps on Naps on Naps! 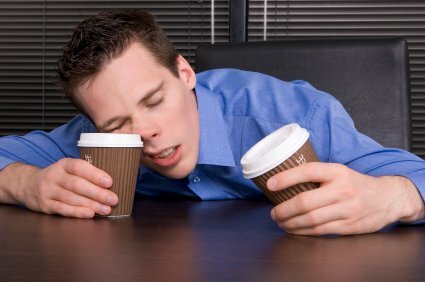 No amount of coffee can save you. Plan your academic responsibilities accordingly! Don’t party all weekend – perhaps if you have a lot to do you should hit the library at least once! Get a good nights rest!!! This is tremendously important!!! Plan your day accordingly and don’t get distracted! Also, don’t forget to use the powerful system I invented: I call it the CNH program. The CNH program stands for Class, Nap, Homework. It’s a fantastic approach to collegiate life and allows an undergraduate individual to balance the most important facets of school life. Sleep and Academics.Real simple stuff. After you hit those lectures, head back and take a long and deep nap, wake up ready to power through that homework (preferably in the quiet distraction-free library), then do it all again tomorrow. Works every time. Midterm weeks are not as stressful as finals week, but they definitely do bring restless nights of studying. As long as you keep up with the lectures and homework from the start, you don’t have to be too stressed out for midterms. Midterm seasons can be tough and restless, but you can make it fun! Look for some study buddies and form study groups. I found out that I can study for a longer time if I have someone to study with. Even if you guys are not studying for the same class, it definitely helps to have someone there to keep you from snoozing off. Most Boringest NBA Trade Deadline EVER! Today at 3PM the NBA trade deadline ended. THE CELTICS COULD HAVE MADE SOME REALLY BIG MOVES THIS YEAR. Instead, they chose to do hardly anything. The Celtics have held onto Paul Pierce, KG, and Rondo once again. For another season, as they struggle to put together one last huzzah at a championship. KG had the no trade clause and said he wanted to die green. Rondo’s trade value sharply declined after being on the receiving end of a season ending ACL injury. Lastly, Pierce just wasn’t moved for whatever reason. Trade talks around the league circulated all month regarding what the Celtics could do, but most importantly, what they ought to do. The Celtics only made one move this trade season, opting to move Jason Collins and Leandro Barbosa (also out for the season with an injury) for Washington Wizard’s Jordan Crawford. Everybody welcome the newest Celtic! Sorry to end this on such a poor and depressing note… but the Celtics season is pretty much over. Hello friends! I am eating some delicious food right now and I wanted to share it with you all. Not literally share the food, because by the time you read this I will be done and also this is my lunch so I probably wouldn’t want to share anyway. but maybe some of you have not. This right here, is my favourite meal. Ever. Greek wrap [no tomatoes] and a Sobe citrus energy. The Hawk’s Nest does this awesome thing where they make THEIR OWN HOMEMADE FLATBREAD for the wraps and then SLAP IT ON THE GRILL REAL QUICK before wrapping your delicious fixins inside and it’s just the chewiest most delicious wrap you will ever wrap your face around. The Greek – Trudy’s favourite. Romaine lettuce, tomatoes, kalamata olives, feta, roasted red peppers, cucumbers, red onions, and Greek dressing. Chicken Caesar – I’ve actually never had this before, even though I LOVE Caesar salad. Whenever I want a salad-y wrap I just can’t deny the Greek. Anyway, simplicity is best with Caesar: grilled chicken, romaine lettuce, parmesean cheese, and Caesar dressing. Both Brady and Brit have had it before and highly recommend it. Honey Mustard Chicken – grilled or crispy chicken tossed with mesculin greens, tomatoes, red onions, and the best honey mustard I’ve ever had. Trudy recommends the crispy chicken because yolo. NEW Buffalo Chicken Wrap – I’ve yet to try this, but I plan to soon because who doesn’t love buff chix. Grilled or crispy buffalo chicken, bleu cheese crumbles, lettuce, tomato, and onion. Great. The River Hawk – classic 1/3lb Angus burger with lettuce, tomato, and onion. The Fire Hawk – I’m a wimp and haven’t tried this yet because I’m not a huge fan of spicy sammiches, but it looks pretty good! Grilled chicken, chipotle aioli, jack cheese, lettuce, and tomato. The “Toma”Hawk – this was actually the first thing I ever ordered at The Hawk’s Nest, back in Spring of ’12 when I wasn’t eating meat. I have a strict repulsion to tomatoes but I was like yolo and got it anyway. It’s yellow tomatoes, basil, and smoked provolone on Texas toast. It. Is. Amazing. The Bleu Jay – classic burger topped with bleu cheese and bacon. I’m really not a fan of bleu cheese so I haven’t had it, but I’m sure it’s wonderful if you do! Everything with bacon is good. NEW The Greek Burger – basically the Greek wrap in burger form, so I had to try it. classic burger topped with feta cheese, lettuce, kalamata olives, onion, tomato, and Greek dressing. My new favourite burger. NEW Portabello Burger – now, I love portabello mushrooms so I wanted to try this real bad. It’s a grilled portabello cap with lettuce, vidalia onion, jack cheese, tomato, grilled zucchini and summer squash, and their “Boom Boom” sauce. I’m not a huge fan of zucchini/squash, or most gourd-like veggies, but as the motto says..yolo. The grilled veggies were actually real good, but I did not like the boom boom sauce. I don’t know what’s in it, but it was spicy and kind of weird to me? Oh well. To each their own. Maybe it was the jack cheese. I’m just not a spicy cheese person. NEW Pesto Chicken – SO GOOD. Grilled chicken, provolone, pesto, and spinach on delicious ciabatta bread. The Italian in me loves it, as well as the person-who-likes-good-food in me. NEW Chili Cheese Burger – CHILI AND CHEESE?! Grand. Classic burger topped with chili, nacho cheese, lettuce, tomato, and onion. Winter?? Phhsssssst THAT DON’T PHASE ME! I get it. The weather is NOT our best friend right now. He is cruel with all his blowing of wind, black ice, snow and low temperatures. To top it all off he has the sun playing TEASE! It shows up for a little bit and then it disappears! Oh the cruelty! Well I have a solution for you to bear with it! Every time you feel the burning cold (yes because it buuurns), I want you to go to your happy place until you reach the inside of a building, shuttle or your home. Think ahead to maybe your spring break vacation coming up, or how spring should be approaching soon and the cold will have NO POWERover you! That’s what I’ve been doing for days……….. Here are a few images to help you cope! Dreaming always puts me in a good mood, I hope it serves you well lovies! I mean wouldnt you love it if UML’s campus was in this yacht! 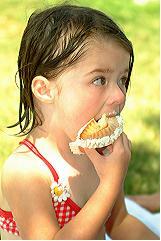 The biggest problem is that parents pass their poor cupcake eating technique onto their children. This epidemic of ill used cupcakes needs to stop. This kid can’t even get it into his mouth. Clearly doing it wrong. 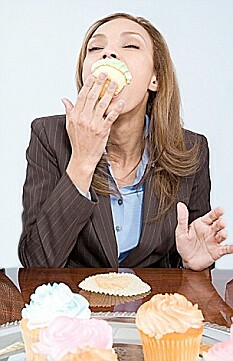 YOU DON’T EAT A CUPCAKE WITH A FORK USE YOUR HANDS. YOU WERE GIVEN THEM FOR A REASON. 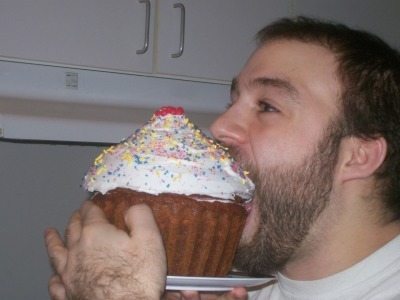 Look at this barbarian tarnish the holiness of that cupcake. Sacrilege. 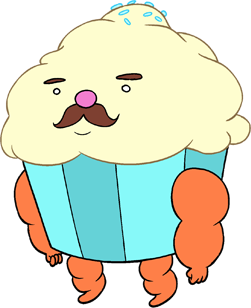 Think of how good that cupcake would have been if that barbarian ate his cupcake correctly. I implore you to cast away the shackles that bind you to the torment that is eating the pure cake at the bottom of a cupcake. 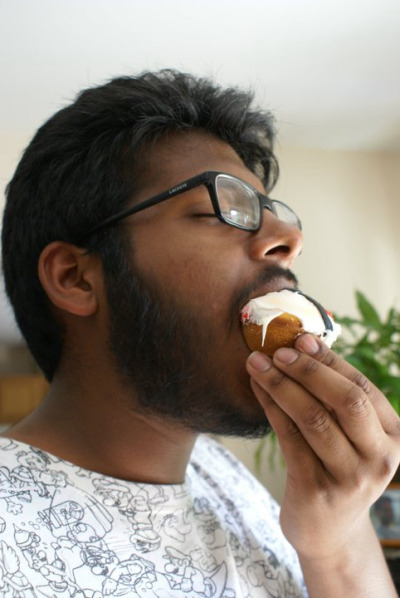 Do yourself a favor and enjoy a cupcake to its fullest. Also, think of the children. They are being deprived of a delicious cupcake sandwich that offers them equal frosting distribution across the entire cupcake. The cupcake gods shed bitter tears for every bit of cupcake that is ingested and not accompanied by delicious frosting. They are kind enough to give you cupcakes you should return the favor by not making them cry. Ever wondered when the next shuttle is coming? Well now you can track the shuttles!!! Its been in the works for awhile now, but now the beta version of UML’s roadster tracking application is now available. Because the beta version is still in a testing phase it is only available on any device that is capable of accessing the interwebs. Such as your phone or computer or tablet or whatever. The best part is that its actually free! There you can track the roadsters at all hours during the day and you can live a much happier transportation life. Don’t forget to tell your friends about the application. In the near future the University will be releasing the application to Android and iOS devices so you won’t have to use your web browser to view where the roadsters are. Take it easy everyone and enjoy your long weekend! SO you wanna be AWESOME?! Good choice. Being awesome is pretty awesome. I would know, because I am awesome. Now, don’t go clickin’ off back to your facespaces and mybooks and whatnot ’cause I said “STUDENT LEADER.” and that might not sound like the most exciting thing in the world to you. But let me assure you. It is the most exciting thing in the world to me, and I would like to share my excitement with you. BUT TRUDY, HOW DO I BECOME A STUDENT LEADER.? Well, conveniently placed anonymous question, I will tell you! There are TONS of opportunities for STUDENT LEADER.ship around campus. You can lead a club or organization! There are over ONE HUNDRED AND FIFTY (150+) CLUBS&ORGS ON CAMPUS. Everyone has beaten into your heads how important it is to get involved and blah blah blah so I won’t get into that. But if you’re in a club and you’re passionate about it, you can try to get on the executive board! Eboards consist of at least a President, Vice-President, Secretary, and Treasurer, and maybe some more club-specific positions like Marketing Chair or Technical Officer or Designated Hat Person. It’s a bit of a time commitment to be an eboard member, but it’s super rewarding in that you get to steer the club in a direction you might want to see, and it’s a great resume builder! you know the “reference” section in a library? That’s basically what an RA’s room is. If you need info on anything happening on campus, help with academic issues, iSiS is being weird, your friends are being weird, it’s the middle of the night and you’re locked out of your room, it’s the middle of the night and you’re in need of some protection (I like to stock up at Safetypalooza until someone tells me to leave some for everyone else to which I hastily reply, “I’M AN RA THESE ARE FOR MY RESIDENTS” and then run away), you fell on your face and need a band-aid (I have an overstocked first aid kit in my room)..you get the point! this is what everyone assumes all RAs do all the time. Honestly, documenting incidents is kind of a pain. We have to get everyone’s information, let our supervisors know, let the RD on duty know, write up an in depth third person description of exactly what happened, follow up with the residents.. ANYWAY being an RA is great leadership experience, learning to work well with a team, bettering your people skills, all that good stuff. And Resident Advisor responsibilities are fairly uniform wherever you go, so if potential employers see that you were an RA they will immediately know what kind of stuff you did and what kind of skills you learned. The application process for RA selection for next year is already underway, but keep an eye out in the fall for the online applications! Basically you fill out an online application, sign up for a Res Life 101 class which is basically a group interview process with other applicants and Res Life pro staff, and have a one on one interview with one of the Resident Directors of the halls. Yay! Do you remember your orientation? Was it THE BEST EXPERIENCE EVER?! If I was your OL it probably was. Orientation Leaders basically have the best job ever. Here are some more bullet points. So! Those are some sweet things you can do to be an AWESOME STUDENT LEADER. DifferenceMaker Idea Challenge- Use your NOODLE! The UMass Lowell Center for Innovation & Entrepreneurship is hosting the first annual Difference Maker Idea Challenge!! Let’s get your noodles working!! =) Get creative! In this first Challenge, student teams will be asked to develop real solutions to real problems. Students are asked to present a concept proposal for a needed service, product or business that addresses a real world challenge, such as climate change, access to health care, support for the arts, cyber security, regional unemployment (additional categories TBA). · Applicants must be UMass Lowell students (graduate or undergraduate) or have graduated from UMass Lowell within the past year. · UMass Lowell students or recent alumni must take a leadership role in developing, presenting and implementing the concept and proposed solution. · Students are encouraged to form interdisciplinary teams, meaning students from different majors should work together in developing and implementing the solution. If you haven’t yet connected with team members from other majors, we will help facilitate this. · Applications must be submitted via the DM website. Forms are available at www.uml.edu/differencemaker. · Finalists will be chosen for the pool of applicants and notified by Feb. 20. · All student teams will be introduced to the Problem-Opportunity-Solution-Resources approach to problem solving. A series of workshops is scheduled to help teams examine their selected problem, explore the opportunity, develop possible solutions and identify needed resources. · Each team must submit their proposed solution in an Executive Summary format, along with a concise PowerPoint Pitch Deck. This is an absolute deadline. Teams submitting plans past the deadline will not be included in the competition. Each team also will present a three minute pitch describing their problem and proposed solution before a panel of alumni judges. Each presentation will be followed by a brief Q&A session with the judges. The judges will convene to make final prize award decisions later this evening. DON’T HESITATE! YOUR IDEAS DESERVE TO BE HEARD! Punxsutawney Phil, the King of the Groundhogs! In case you didn’t know, Groundhog’s day was Saturday, and the proclamation is in!!! Punxsutawney Groundhog Club at Gobbler’s Knob…. with a tap of the President’s cane. and Phil directed him to the chosen Prognostication scroll. An early Spring for you and me. Some good news! For the first time in nine years, Phil predicts an early Spring!!! The average groundhog is 20 inches long and normally weighs from 12 to 15 pounds. A groundhog can whistle when it is alarmed. 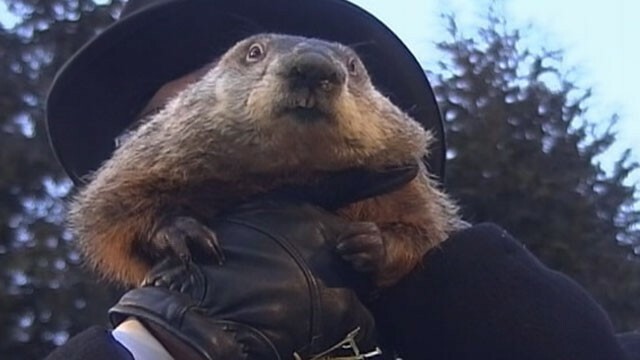 As you can see groundhog’s are pretty cool and kind of psychic since apparently Punxsutawney Phil can predict when Spring will occur I’m just excited that Phil predicted an early Spring because it’s way too cold out and we have a giant snow storm coming this weekend. I hate snow.